Auslec/L&H, hatched in 1886, is a wholesaler focused on the supply of electrical, industrial and safety products. With more than 130 years of experience, the company supports customers from commercial mining, oil, and gas through to industrial, utilities, and facility maintenance, and has 160 stores providing advice, technical and logistical support and e-commerce solutions including Webshop, ERP integration and app technologies. Since January 2017, Auslec/L&H has been using dotmailer as its email marketing automation provider and already seeing tangible results, according to e-business development manager, Patricia Goncalves. She told CMO more than 1.7 million emails were delivered in 2017 through the dotmailer platform. But the key was how well the team was able to target customers and tailor the message. Through the dotmailer technology, its companies are now using transactional and behavioural data to design, test and send automated campaigns. The technology deployment has also helped Auslec significantly increase its customer database to 12,000 contacts. Since introducing more personalised communications, click-to-open rates range from 28 per cent to 35 per cent. This is vital, Goncalves said given Auslec puts on massive promotions throughout the year, which can last as long as six months. Goncalves said its former online platform was difficult to work with in terms of creating programs within programs. This led to a lack of transparency and “big picture” vision. “If we wanted to create a program that was working for a full month, it would take us three days to set up a program,” she said. “One of the difficulties was we couldn’t see the big picture of the program. When we brought it across to dotmailer, we could see the whole flow, which gives us assurance about where the customer is. As an example, Goncalves noted a recently launched six-month promotion called ‘Bucket List,’ aimed at increasing customer engagement on the basis of rewards. Auslec plans to execute this as a six-month campaign along with a series of monthly programs running simultaneously. The main campaign focuses on delivering messages to customers regarding the rewards they can automatically score during the promotional period. These kick off with a targeted EDM triggered campaign, which directs traffic to landing pages with a countdown to the big launch. 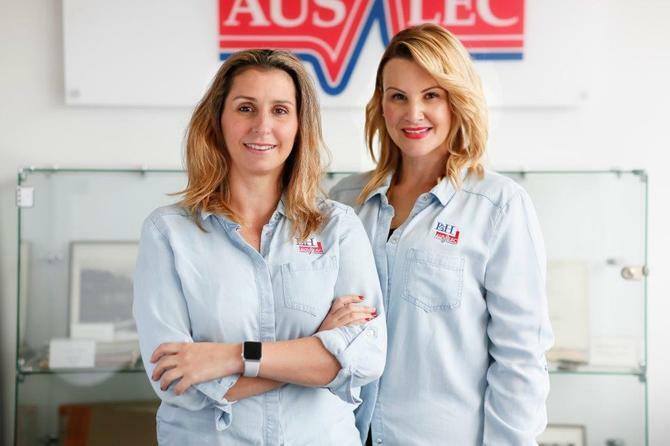 Goncalves said the current campaign aims to engage with Auslec/L&H online and branch customers via a series of daily and monthly campaigns. This includes 24-hour flash sales and conditional giveaways. Through this longer and more substantial campaign, Goncalves said the intention is to better connect with its growing customer database while building on longer-term relationships. Auslec is also able to get access to real-time data on a customer’s status in a particular program. “With a complete and holistic view of programs, it allows the team to make necessary changes as to maximise the ROI on campaigns,” she said, adding a real-time snapshot into a campaign is invaluable for marketers for providing insights into how and when to engage the market. Digital marketing has had a significant impact particularly on branch managers who were used to using pen and paper and sending customers letters in the mail, Goncalves continued. “This is very new world to them, but once you show them the bigger picture of the campaign and how it keeps retargeting customers that don’t open versus if they do open, and now we’ve integrated SMS, they can see the bigger picture for our business and can also see the benefits it’s having for their customers. “No longer do they have to filter information about a promotion. Now we are literally making it so every individual email is different to each customer. We can even target some of our regional areas. The rollout of the technology has also helped the company towards rebranding, both physically and virtually. “It has changed the scope of our new branding guidelines. We are refurbishing and changing the exterior of our business, so we’re rebranding our templates and customers can see that first-hand on our emails,” Goncalves said. Asked the next steps, Goncalves said Auslec is in the process of integrating a new digital platform that will allow it to classify customers including small domestic contractors, small to medium contractors, industrial and commercial customers. “This means our EDMs will be even more personalised. We haven’t reclassified our customers in a long time and databases in our business are just as old as our business is, so we’re trying to create new avenues to create fresh databases with accurate classifications,” she said. Updating CRM is another priority, with a view to integrating it with dotmailer, as well as creating a better experience on its e-commerce platform. While the push to digitally driven marketing might already be familiar territory to many marketers in other sectors, Goncalves said Auslec is on the forefront of the digital movement compared to its industry counterparts. Auslec/L&H marketing strategist, Rachel Raschilla, said suppliers are now asking the company for insights, feedback, testing and collaboration and cooperation on programs. “This is an industry that is fairly new to digital. Understandably, our customers are only just moving to online and very, very slowly, so we have the opportunity to build it and be ready for them when they jump across,” she said. Raschilla said the company is also looking at a new strategy within the marketing team to understand customers better.